Greetings, dear readers! I am still working diligently to test and write up my reviews of the various products I brought back with me from Cosmoprof North America. I definitely have my work cut out for me! While it has been a little slower process than I had hoped, I really want to give all the products the time and attention they deserve. With only a week and a half left this month, I don't think I'll have everything completed by my self-imposed September deadline, and I hope you don't mind the wait as I continue to share items with you! Now let's jump in on today's post! 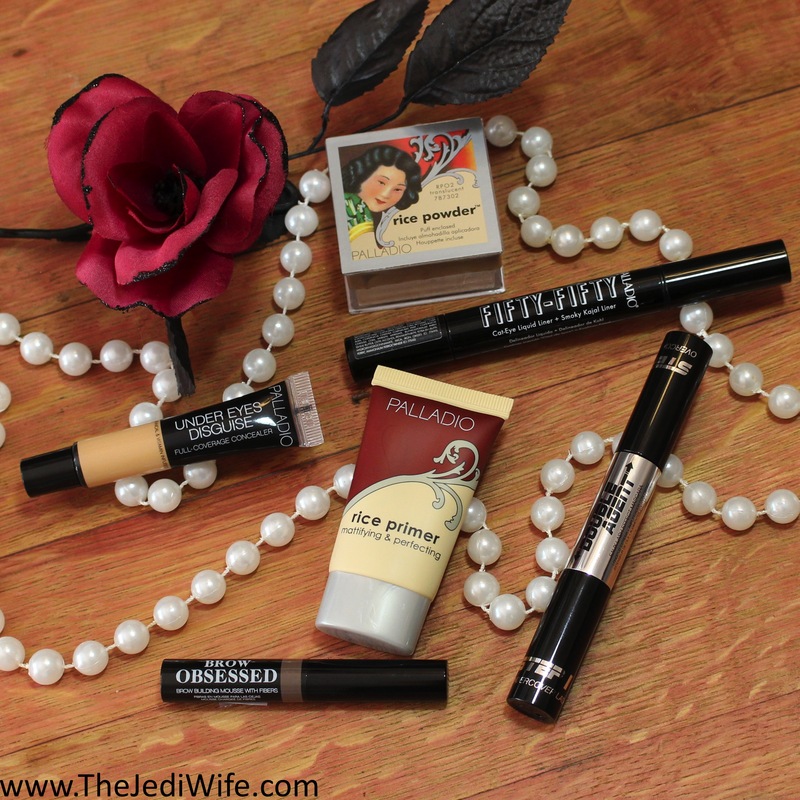 One of the brands I visited with at the show was Palladio Beauty, and I brought a few items back with me to test out and review. Palladio is not a new to me brand, and their rice paper oil absorbing blotting tissues have found a home in my purse for a few years now! I've picked up a few things at my local Sally's before, and I was thrilled to be able to try out even more products. Let's jump in and check them out! As someone with oily to combination skin, I definitely want my primers to have a mattifying effect on my skin! Their new Rice Primer is lightly tinted to help blur out skin imperfections and even skin tone. While this product does contain dimethicone that gives many primers an ultra slippery feeling, the additional ingredients keep it from having too much slip. The final result is a truly matte and smooth finish on the skin. While testing this with my makeup, my face definitely kept a matte appearance and my foundation stayed in place all day long! This is the Under Eyes Disguise Full-Coverage Concealer in the shade Toffee, and it is definitely the best match for my skin tone! This liquid concealer is lightweight and blends out easily with a skin-perfecting finish. 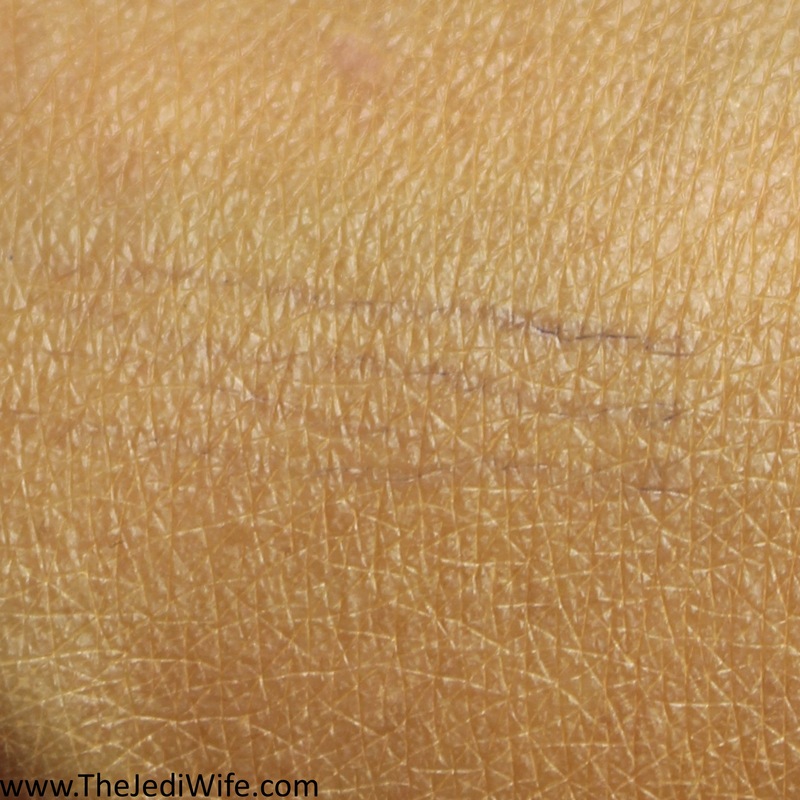 I blended out this concealer over three black lines on my skin with carefully placed layers on product. 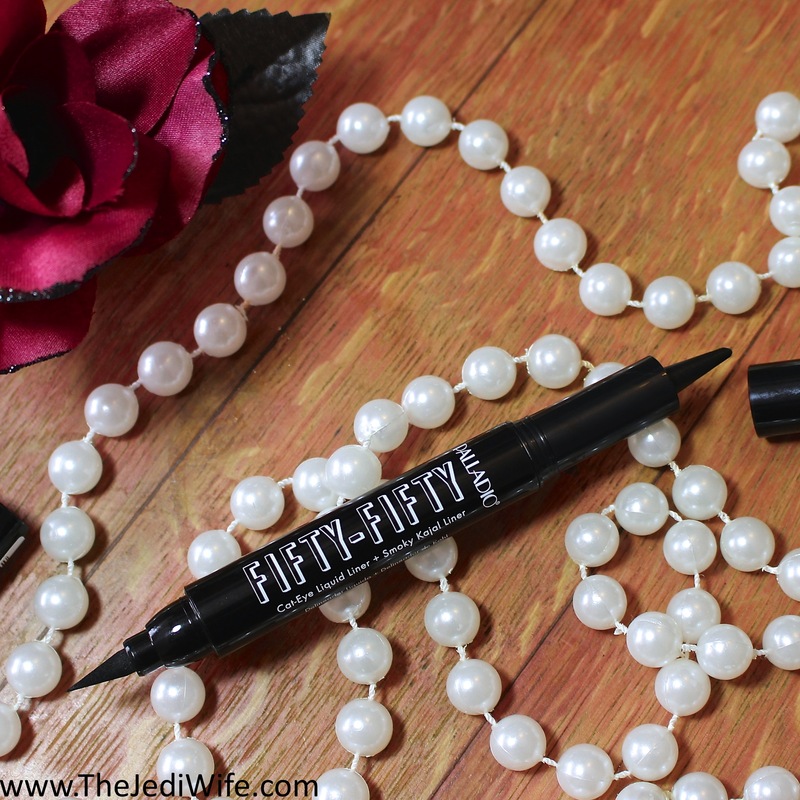 It does conceal pretty well, but you will have to build it up if you want more coverage. 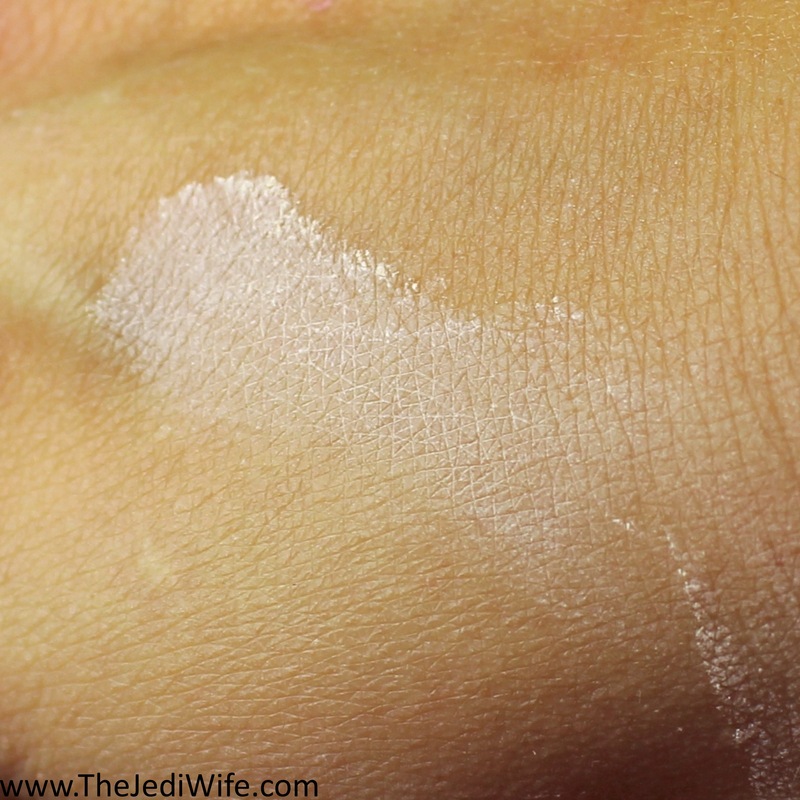 It dries quickly to a cream-like consistency so you will want to work quickly with this particular concealer. While I liked it for some spot coverage on my face, I didn't care for this under my eyes as I felt it just slipping around and caking up under my eyes, even after setting it. I brought home the Rice Powder in the shade Translucent so I could really place with it as a setting powder! While the lid could stay affixed to the container, I opted to break the taped seal so I could gently tap the powder I wanted to use into the lid for each use. I also comes with a little puff for application although I personally am not a fan of it and preferred to just use a large brush. The compact size is nice for portability if you prefer to travel even with loose powders over pressed, but the small size did made getting product out with a brush a little problematic. This is what the Rice Powder looks like on my skin before brushing it out. It definitely absorbed the oil from my skin! I used it a few different ways and have thoughts on each of them. First of all, I tried this on my skin with no other makeup just as a means of controlling oil. I LOVED it! It certainly kept the oil on my face under control and it didn't cake up or give strange lines on my face. I also used this Rice Powder to set my makeup, and this is where I started having issues. I don't know if it is just my body chemistry, but when I used this to set my under eye concealer, my under eyes ended up looking so dry and crepe-thin: definitely not a good look! 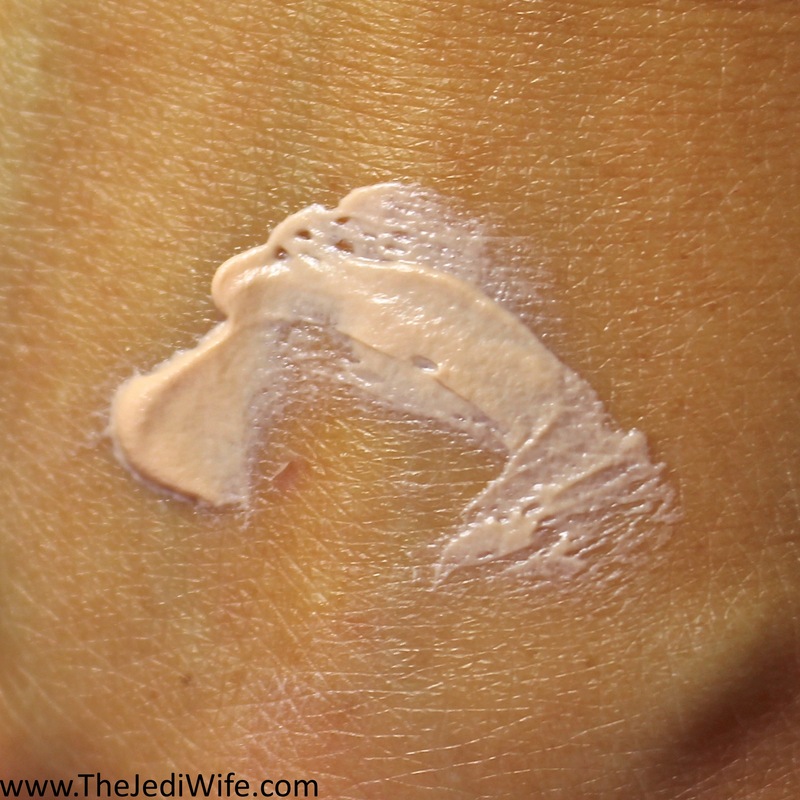 It would set the rest of my makeup nicely and felt comfortable as long as I did NOT use the Rice Primer I shared earlier in this post. Having the two products together was just far too drying on my skin although I did not notice this issue when used in combination with other primers. If you have dry skin, this might be too effective at removing excess oil from your skin and leave your skin longing for a drink. I did not win the lottery when it came to my eyes- I have very oily and hooded eyelids, so my cat-eye makeup has to be kept much smaller that what others can do. That being said, I still played around with the FIFTY-FIFTY! On one end is a fiber-tipped liquid liner while the other has a super soft kajal cone crayon. 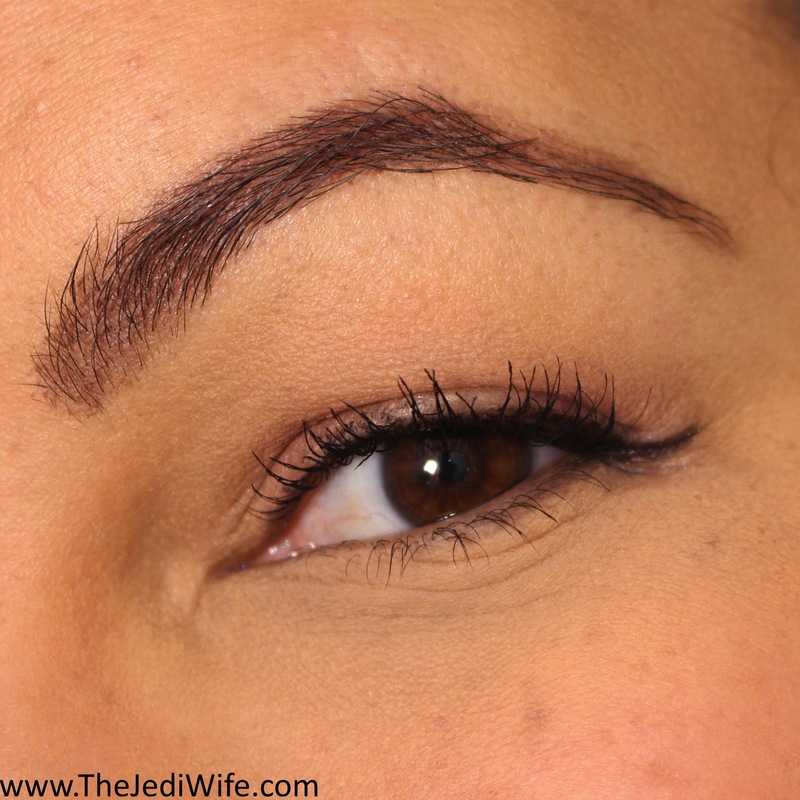 The left is the liquid liner and the right is the kajal. I can never seem to get kajal to stay in place on my oily skin so I didn't really use that side much and stuck primarily to the liquid liner. The first thing to note is while there is definitely nice colour payout with the liner if you are able to hold it at a slight angle and add pressure, you do not get the rich black shade if you use a lighter hand. Due to my eye shape, I cannot hold this liner at the angles needed for a heavier application and found myself having to repeatedly go over the light lines to darken them up on my eyes. While that wasn't a deal breaker, it was frustrating for me to apply this eyeliner only to have it smudge away an hour or two later. It just wasn't the most compatible with my oily lids no matter what I tried. If your eyes are the window to your soul, one of your most important features naturally must be the brows that frame them! 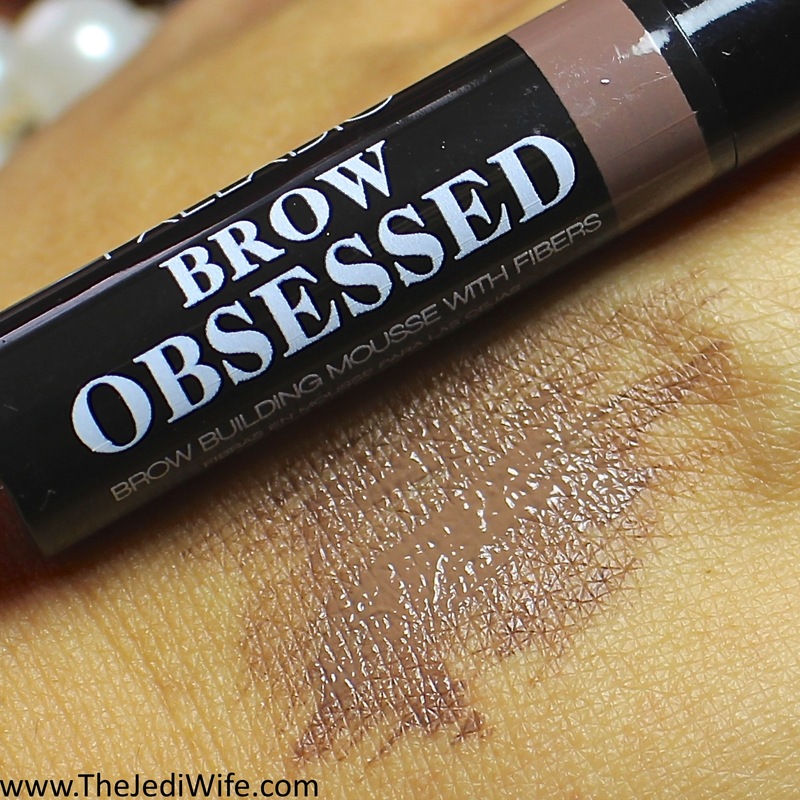 I am a powder or pencil person when it comes to my eyebrows, although I was happy to try out the BROW OBSESSED mousse with fibers. I was given the shade Light/Medium which I found to be a little too light for me, but since I had added lighter highlights to my hair, I was eager to try out a lighter shade. It applies with a little spoolie, and I was not a fan! Please keep in mind this is a different type of brow product than I am used to so I have nothing to compare it too, but I found the spoolie to be too firm and the scratching sensation on my eyebrows was really uncomfortable. I also have a few sparse areas in my brows that I felt this did nothing to help fill out just by combing my eyebrows alone. It's not a product for me but I would love to hear your thoughts if you've tried this or similar type products! Palladio Beauty continues on with their two-in-one product with their two-sided mascara to add extra VA-VA-VOOM to your natural lashes! This is a great mascara because the undercoat, or Step 1, operates as a normal mascara to give your lashes a natural look for the day. When you want to add more drama to your lashes, you can then coat your lashes with the fiber-filled step 2 to add volume and length to your natural lashes. While I did like the first undercoat on my lashes, it was still a pretty basic mascara that didn't seem to do anything special to my eyelashes. Adding the second step with fibers definitely added oompf to my eyelashes, but the effect was more spidery than I like. 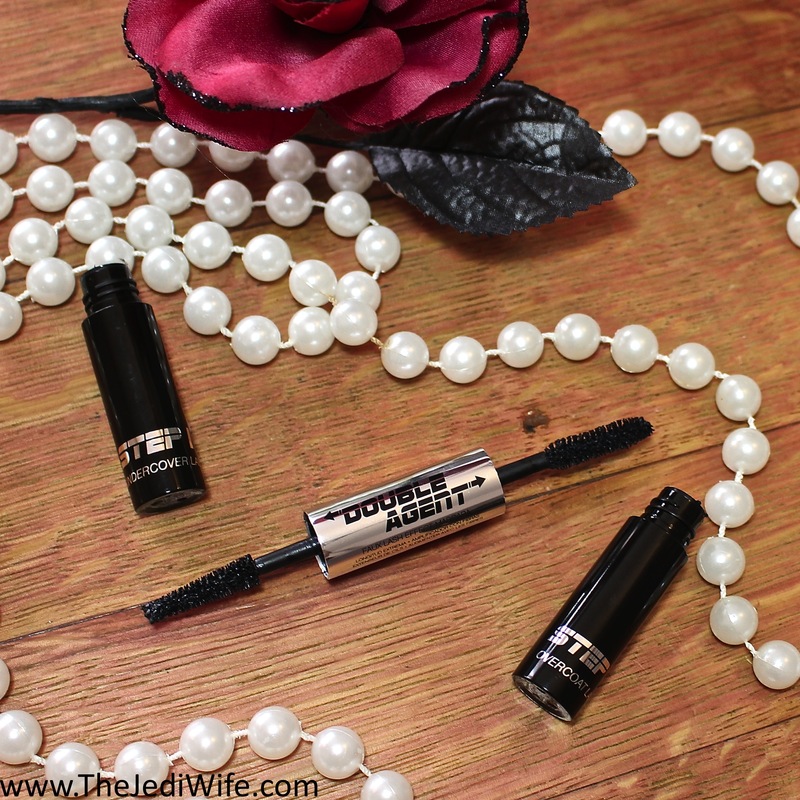 Here I am wearing the Double Agent mascara with both under and overcoats, Fifty-fifty eyeliner (liquid side only), and the Brow Obsessed mousse. Another product I tested (that my toddler ran off with while I was photographing my product shot at the top of this post) was this stunning Velvet Matte Metallic cream lip color in the shade Ritzy. This gorgeous metallic shade is a liquid lip that applies flawlessly with a doe-foot applicator. I am obsessed with this colour! 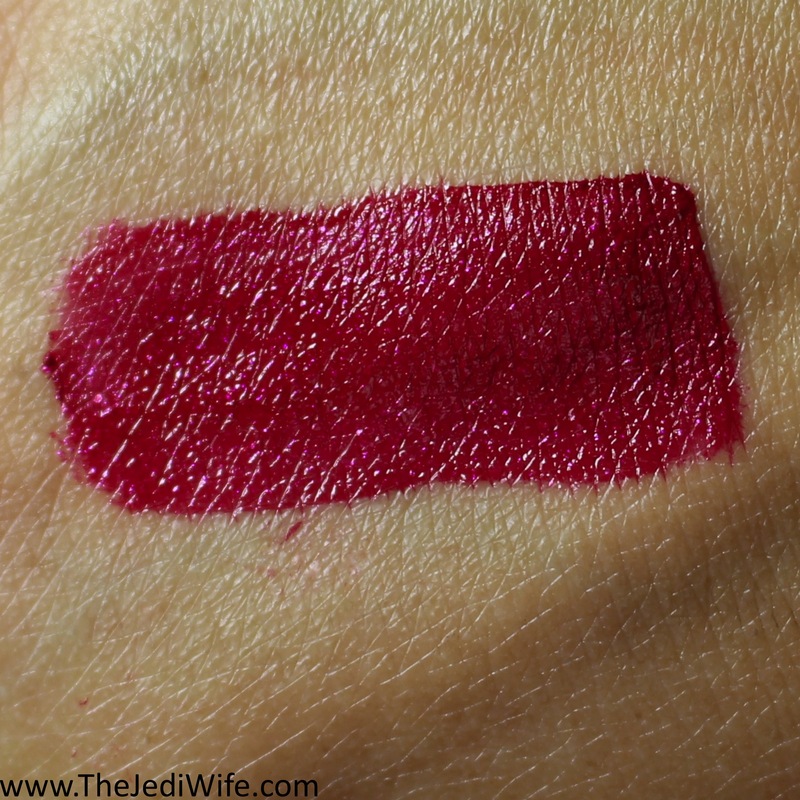 The application is so creamy and smooth, and I love just how pigmented it is! I got several hours of wear with this beauty, and even when it did start to fade/rub off, I still had the sparkling pink glitters on my lips leaving gorgeous colour! 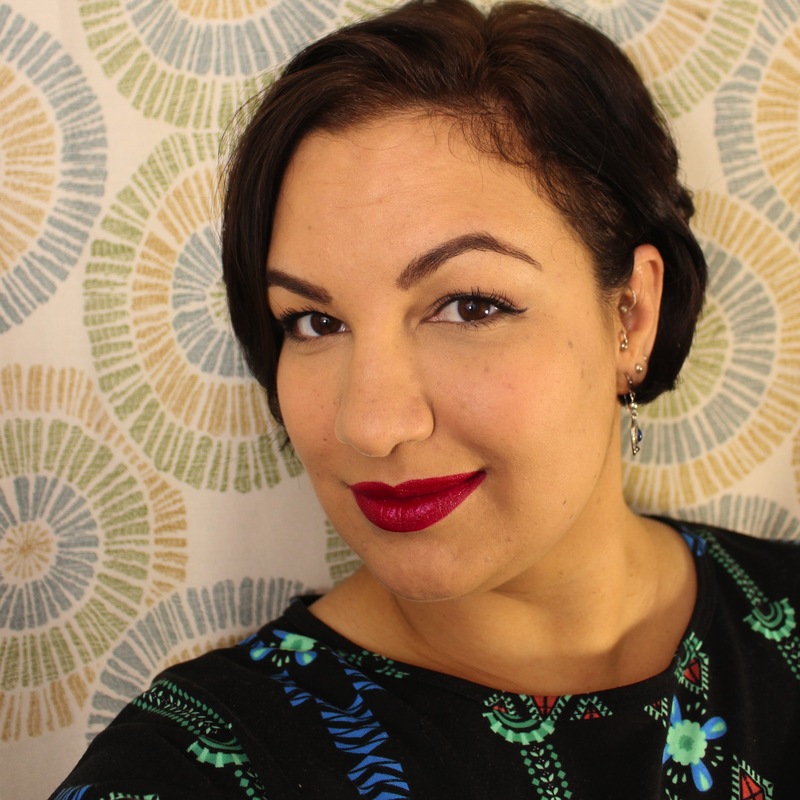 And here I am utilizing all the products in this post for a simple look for the day! I really enjoyed testing out these products from Palladio Beauty and will be incorporating a few of them into my beauty routine. 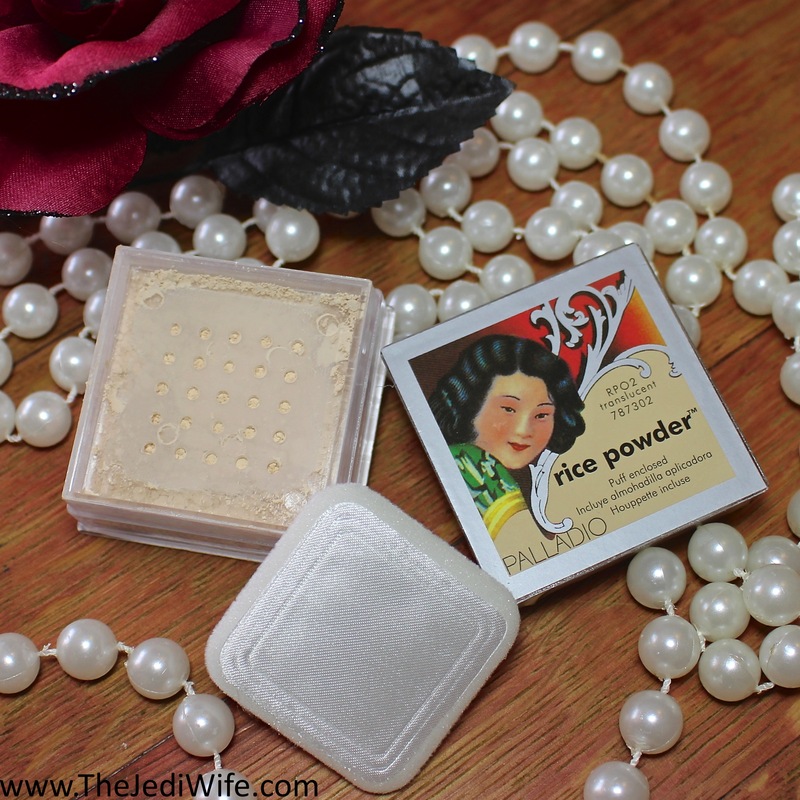 While the smallness of the Rice Powder makes it a little more difficult to use, it certainly was one of my favorite products that I tested. I have actually been using it often on my no makeup days the most and love the matte finish it leaves on my skin! The Rice Primer seemed to work well for me although I have mixed feelings about whether or not I'll continue to use it. The beige tint makes my face seem almost sickly, and while I know it is going to be covered with foundation, the overall experience is still a little alarming. 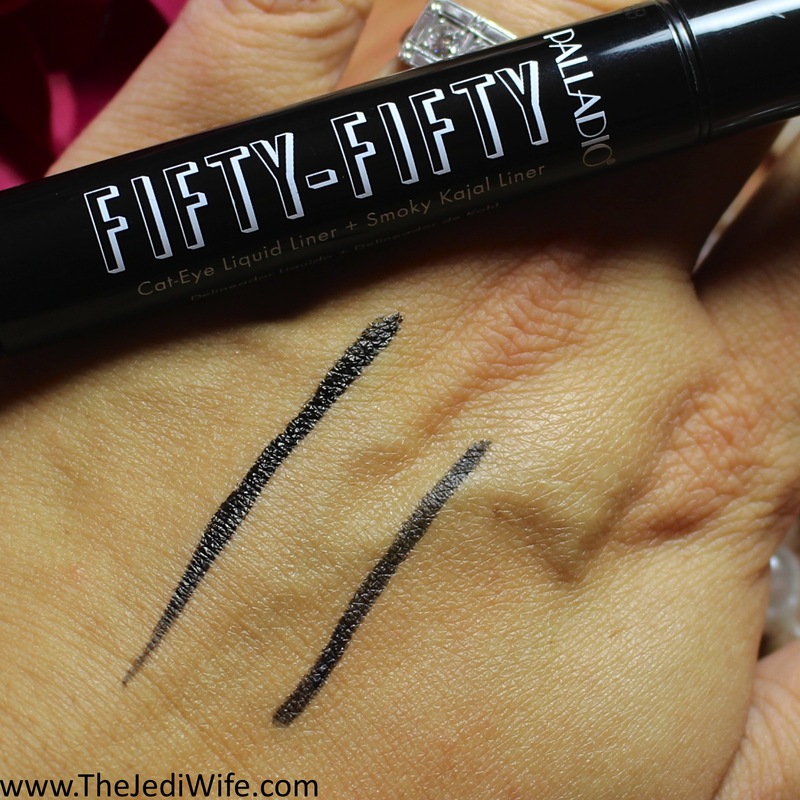 The Fifty-Fifty dual-ended eyeliner was a bust with my hooded oil-slicks, and I am so eager to hear feedback about it from those who don't have the issues I do with my skin and eyelids! This lip colour was another winner from the collection for me, both in regard to the colour itself and the creamy finish; I definitely will have to pick up other shades! Have you tried any of these or other products from Palladio Beauty? What were your favorites? Is there something in particular you think I might want to try out next? I'd love to hear from you! I've never tried a primer before but have been wanting to. I think I'd start with the rice primer and then check out some more of their products. Thanks for the honest review. The color of the cream lip color is gorgeous and the texture seems perfect. What some absolutely beautiful looking items that red lipstick is just WOW I love the colour. Haven't heard about this brand before, gonna try it... The lipstick looks amazing! You look gorgeous! I want to try the rice powder and concealer. Cool stuff as always! I need that under eye stuff. I have terrible dark circles! All the makeup came together very nice in your last picture. I like the lip color. I also like that double eyeliner. I haven't messed around much with an eyebrow pen. I'm not familiar with this line but the products look great on you. I'd love to try them. I think I might like to try the rice powder. I'm dry and shy from finishing powders but i've kind of been looking for the right one recently. You look amazing!! Love the lip color on you! I want that rice powder, despite the brush problems. I think it will be the final solution for my oily skin. I have never heard of this brand before but love that lip color and I would love to try the ice paper oil absorbing blotting tissues and the rice powder. That lip color. Wow! And yes, cpna reviews take forever!! I'm still not accustomed to putting things on my face and my body skin, since it's just strange. But I know I will definitely need that in the future. So thanks for your efforts in writing this time's blog. I haven't tried any but the Velvet Matte Metallic cream lip color is what I like the most. I like the shade and it looks good on you. Never heard of that Palladio brand before but that rice powder sounds interesting. Totally liking the look of that Velvet Matte Metallic cream lip color. I'm really interested in the concealer and the eyeliner. Both look like products I would enjoy. I've never heard of this brand before. I love the color of the lipstick. That lip color is gorgeous on you and the rice primer intrigues me! The rice powder and it's delightful packaging is what caught my attention. I'd love to purchase this product! It would also be nice as a Christmas stocking stuffer for older teenage girls as well as women of any age. I've never heard of this brand before but they all look like good products. I might look into the lipstick. Perfect color for the holidays. 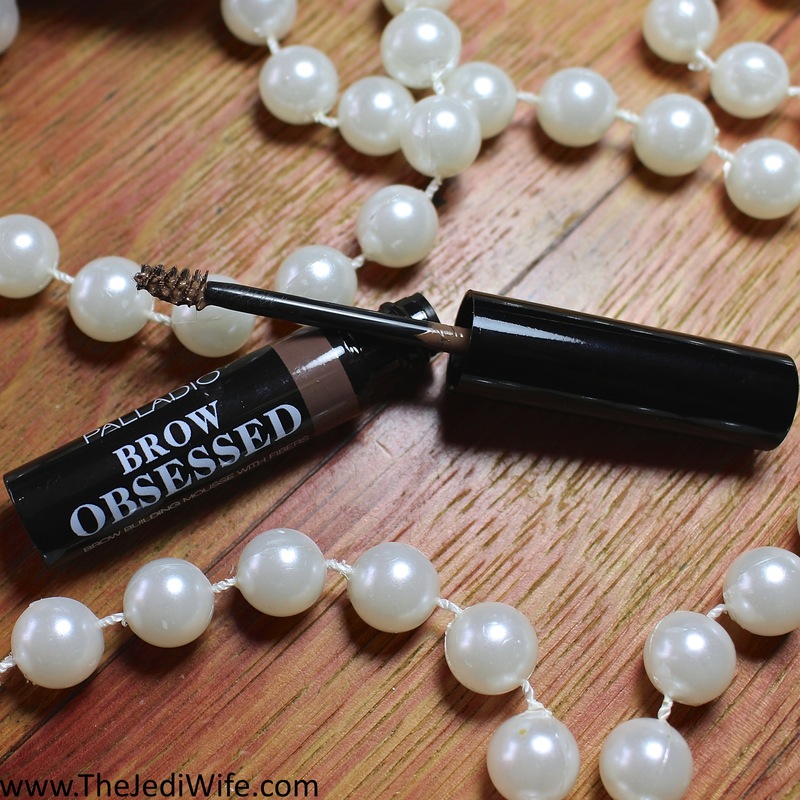 The brow mousse looks cool! Love your look! Flawless and clean which is always good when you are wearing makeup. I hate when colors are not blended well and you can see the makeup lines. Never heard of this brand. I am looking for a good under eye. Looks like some great products! Might have to try that brow brush! These a great lists to try. I am not so much into make up, but I'd love to use the rice powder since I have an oily skin.